Ray Todd Display is something you should read. The photograph accompanying the show case may be one of a kind. Although Ray passed away before the photo was discovered it is thought he is in the standing row, third from the left. This display is made possible through the efforts of Cindy Todd Roof, Mike Todd and Pat Todd, daughter and sons of Ray Todd. 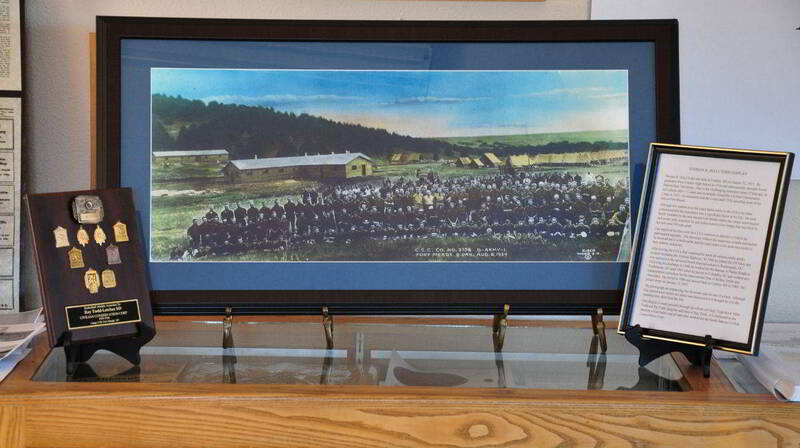 It is dedicated to the memory of our father and all men who worked for the South Dakota Civilian Conservation Corps. 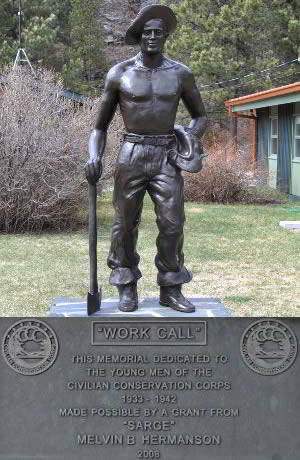 It is dedicated to the memory of our father and all men who worked for the South Dakota Civilian Conservation Corps.